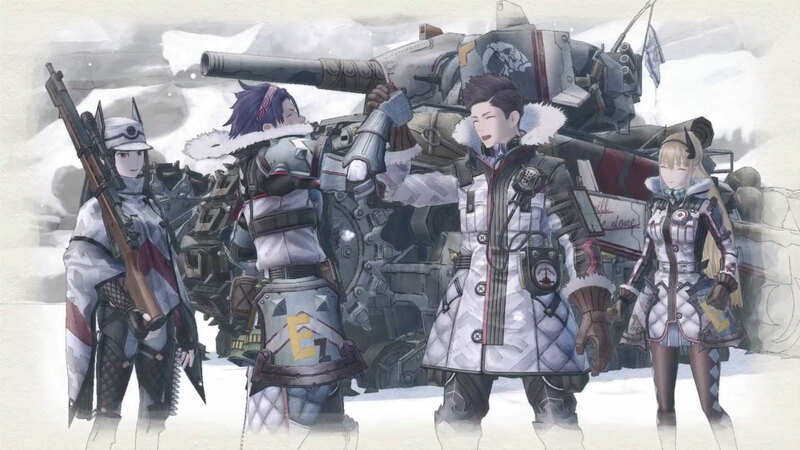 Valkyria Chronicles, the first game in the tactical RPG series, is getting a Switch version. Valkyria Chronicles portrays a somewhat fantastical version of WWII. You play as a squad of colorful characters trying to defend the country of Gallia against the invasion of the East Europan Imperial Alliance – a terrifying combination of the Nazis and the Russian empire. While the game draws heavy inspiration from WWII, it also includes many fantasy elements. For example, the ragnite ore – powerful crystals that can be utilized to fuel, medicine and anti-tank weaponry. Some warriors can even use this resource to take out armies single-handedly. To achieve your goal of stopping the Imperial armies, you’ll have to decide on your tactics using all kinds and classes of soldiers, each with unique abilities and roles. Scouters, Gunners, and Engineers are just a few of the units available in Valkyria Chronicles. The game’s visuals have aged wonderfully thanks to the watercolor aesthetics and the CANVAS engine. The game looks like a beautiful painting, which stands in contrast to its themes of war and destruction. Those who didn’t play the first Valkyria Chronicles until now should definitely consider giving this classic tactical RPG a try on the Switch. If you already own the copy of Valkyria Chronicles 4 for the Switch, you’ll receive a 25% discount on the original title. Valkyria Chronicles on Switch is heading westward on October 16. The game is already available on PC and PlayStation 4.